Gridlock can often derail sturdy locomotives when all the leaders are driving it in different directions. The Federal government is no exception. Political in-fighting is the game of the day. President Obama delivered his State of the Union Address this month which earned mixed reviews depending on their party affiliation. Yet, many politicians recognize that America’s massive financial debt isn’t sustainable. The latest crisis involves sequestration which requires automatic cuts across the government, including defense and domestic programs based on a specific deadline. According to a recent George Mason University study, over 2.14 million American jobs would be lost if sequestration took place. The original concept of sequestration was to create an artificial doomsday that would force both political parties to work together. It didn’t work! If the federal government, with its massive resources, is unable to deal with the issues of sustainability, what hope do other smaller organizations have then? “Instead of negotiating, party leaders were busy issuing ultimatums and casting blame,” noted Washington Post columnist Lori Montgomery. With the ever increasing chaos and complicity of business operations to achieve a profit, the concept of sustainability becomes more than an Ivy League Business School buzz word. The speed of change and the constant bombardment of market problems continue to haunt business executives who hope to survive another crisis situation. Organizations that do not understand this necessity soon find themselves looking at the behinds of other organizations that are in front of them. In order to survive, today’s business leaders need to understand the market environment, recognize their strengths, pursue market opportunities, and obtain continuing profitability while taking a long-view perspective of their operations to achieve sustainability. Consequently, one person may view sustainability simply as the ability to use resources continuously without any long-term depletion. Andres Edwards, author of The Sustainability Revolution, breakdowns sustainability in several key components which are ecology/environment, economy/employment, equity/equality, and education. However, are there many things that are possible to be sustained without proper planning for them? In order for businesses to avoid these conflicts of interest between capitalism and the sustainability model, visionary leaders must communicate their expectations to all members of their organizations and throughout their supply chain. Discuss the concepts of sustainability as it relates to your profession. Daft (2012) defines sustainability as “economic development that generates wealth and meets the needs of the current population while preserving the environment for the needs of future generations” (p. 134). To help understand what sustainability means to my company I am going use my break through project company JFWA since I am full time student right now and not working for a specific company. Therefore, sustainability for JFWA would be to provide excellent college preparatory academics for their students and to reach more students every year. The more students that are able to attend JFWA the more knowledge they will gain to be able to generate wealth for them and meet the needs of the growing population. In addition, JFWA reaches out to the local community and world. To reach the community JFWA helps sponsor local programs and help with natural disaster clean up for instance when the tornado hit Harrogate,TN a couple years ago JFWA help clean up the area. In conclusion, sustainability for JFWA is providing the students with the knowledge that will provide them and their families with wealth, the ability to meet the needs of the population when their time comes. Working for the Caylor School of Nursing allows me to take part in the future careers of individuals that are greatly influencing our future. Human healthcare is vital to sustaining the future. “Published in the January 2012 issue of American Journal of Medical Quality, a shortage of registered nurses is projected to spread across the contry between 2009 and 2030” (Rosseter, 2012). What we are trying to accomplish and I specifically am trying to accomplish is to prepare individuals who will be able to care for our local community and beyond. We see every day the impoverishment in countries that healthcare is not a priority. “Without human health, cities will not survive for future generations. Nursing is the discipline that can place human health in this position. Nursing’s initiatives throughout history are efforts of sustainability—improving human health within the physical, economic, and social environments.” (St. Pierre Schneider, Menzel, Clark, York, Candela, Xu). 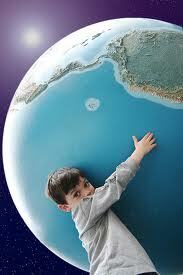 It is important for Nursing educators to teach future nurses to be environmentally conscience. LMU is predominantly producing students who will care for residents of rural Appalachia. It is important that they are knowledgeable of sickness that occurs within these communities so that it can be treated and prevented among future generations. Barbara St. Pierre Schneider, Nancy Menzel, Michele Clark, Nancy York, Lori Candela, Yu Xu, Nursing’s leadership in positioning human health at the core of urban sustainability, Nursing Outlook, Volume 57, Issue 5, September–October 2009, Pages 281-288, ISSN 0029-6554, 10.1016/j.outlook.2009.07.003. The relationship you have made between the nursing field and linking it to sustainability is very interesting and also very important in our day and age. It also seems like it is something very close to you personally. I think LMU, with the new DCOM school and its extensions, is doing great things to address the shortage of registered nurses you talked about. Sustainability is a group effort in every business whether that is nursing or manufacturing. Sustainability have yields positive results for us all. “Sustainable initiatives in hospitals save money, contribute to improved patient outcomes and improved employee engagement, as well as fit the value system of those invested in this resource intensive industry. It’s catching on. And if you consider that Healthcare contributes more to the economy than any other industry, it has a tremendous potential to impact a green economy” (Graham, 2011). I will be looking at sustainability from an environment perspective for small businesses. Spors (2012) in her article looks at the two major challenges small businesses face as it relates to sustainability, time and money. She then goes on to offer solutions to these challenges. She suggests that owners of small businesses join local networking groups, get free consultation and interns from students pursuing studies in sustainability as these would alleviate the time spent on trying to implement the processes themselves. To ease the financial burden, Spors (2012) recommends that small business owners take advantage of rebates and financing programs to help them make energy upgrades. In conclusion, even though small business owners may find it difficult to find the money and the time to make their business economically stable it can be done if they use the resources around that a free and available to them and will aid in the longevity of their organization. I greatly appreciate your article and especially your passion for sustainability. Thanks for the additional nugget of your video. I think we need fresh thinkers like yourself who have your passion on this topic. My simple definition of sustainability is “the capacity to endure.” To endure takes endurance. Much of what you recognized in our political system is short-term thinking without an understanding for what it takes to endure nor do I believe endurance is part of their solution. When I think of endurance and the example of endurance one name comes to mind: Sir Ernest Henry Shackleton. Not only did his expedition to the Antarctic in 1915 reveal his leadership and endurance capacity but interestingly enough his ship, on his final expedition, was called “Endurance.” Many could say his final expedition was a failure because they are looking through the wrong lens and didn’t spend time understanding the “rest of the story.” John Wooden said “Sports Don’t Build Character…They Reveal It.” The Endurance expedition didn’t build character it revealed character. I think you pinpointed the solution with your statement “In order to survive, today’s business leaders need to understand the market environment, recognize their strengths, pursue market opportunities, and obtain continuing profitability while taking a long-view perspective of their operations to achieve sustainability.” Your statement is the reason Government, Corporations, Non-Profits…etc. need to utilize Strategic Foresight. Strategic Foresight is the capability to anticipate and the capacity to act towards a high-quality, coherent and functional forward-view http://bit.ly/WZa8ao. Organizations Anticipate-Align-Act so what this means is that they develop capabilities so they can have capacity to act. Foresight is where you begin to develop these capacities that allow for the “capacity to endure.” There is a clear link between your passion and mine as Strategic Foresight is necessary for us to improve Sustainability. Clearly as you point out in your article sustainability is not just environmental it is also social and economic as well. And these are not separate but linked concepts that work in unison. I would even extend sustainability beyond this to include concepts of STEEP & Triple-Bottom Line. In Foresight and anticipating the longer view, all the STEEP variables are necessary. I love your statement that many believe sustainability to be “the ability to use resources continuously without any long-term depletion.” By utilizing Foresight we look forward, attach resources and then determine the sustainability of these resources. This statement reveals a lack of foresight and understanding of how the bigger picture is connected to sustainability. While I would agree that the profit-motive is necessary to the For-Profit it should not be the driving force. We should also understand that everyone has a motive that is necessary for their survival like Government has a policy-motive and Social Non-Profits have a social cause-motive but these should not be the their driving force. All of these entities should have a sustainability driving force including the factors already mentioned. Since my profession spans many industries, many sizes of organization and includes some non-profits I would say that I am pleased to see more people becoming aware of and embracing the idea of people, planet and profits in their thinking. Many businesses are beginning to see how they can embrace principles of sustainability in their daily business decisions. By leading with foresight I have the ability to frame the future for the organization and help them see how this builds a capacity for long-term endurance (sustainability) and I think this is where it begins. As this is a continued conversation for me and those I collaborate with I would love to continue this dialogue and welcome any comments, ideas, suggestions…etc. that you may have. Thanks again for opening up our eyes to these realities and helping us to see the real necessity for sustainability in every area of business, government, education, non-profit. If a company’s first order of business is to become profitable, it can easily be argued that their second order of business is to be sustainable. This post accurately points out that the concept of sustainability is so not just an Ivy League buzz word, but a real business need that is incredibly difficult for companies to achieve. Being environmentally friendly is another hot topic, and in many ways goes along with sustainability. One way company’s may be able to combine being profitable, sustainable, and ecological is by constructing “green” buildings (Piperato, 2013). These eco-friendly buildings can give companies lower operating and long term energy costs and allow them to sustain them in the long run. Piperato, S. (2013). Sustainability, Sustainability, Sustainability. National Real Estate Investor, 55(2), 36-38. As the pace of global business accelerates, and customers continually become more demanding and sophisticated, companies are finding the competitive landscape dramatically changing. Markets are moving so quickly that is very difficult for one company to stay current on all technologies, resources, competencies, and information needed to attack, and be successful in those markets. I have to agree with Andy, one aspect that can be addressed in an initial startup business would be a small environmental footprint.